The new crop of Democratic members of Congress elected in 2018 is so far left, it’s difficult to single out the most extreme socialists. In most election cycles, a hard-core radical like Chicago’s Jesus “Chuy” Garcia, the former Cook County Board Commissioner, would send conservative journalists and bloggers into a keyboard frenzy. However, so much column space has focused on “newbies” Alexandria Ocasio-Cortez, Rashida Tlaib, Ayanna Pressley, and Ilhan Omar that Garcia has managed to avoid scrutiny. 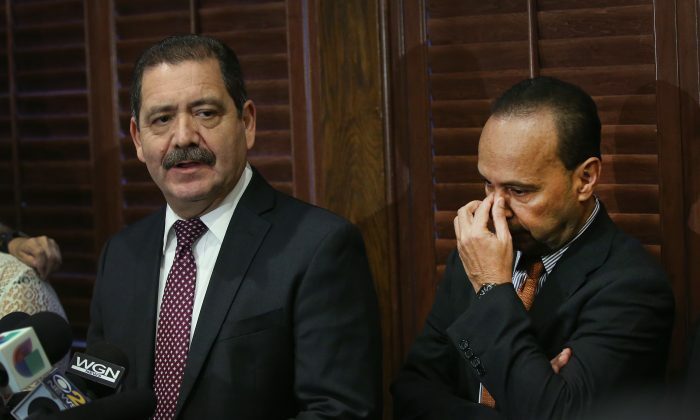 Elected to fill the shoes of the ultra-left Luis Gutierrez in Chicago’s heavily Hispanic South West side, Garcia is every bit as radical as his predecessor. Gutierrez, a once-member of the Marxist–Leninist Puerto Rican Socialist Party, is leaving Congress to work with the “National Partnership for New Americans (NPNA) coalition,” which reportedly “brings together 37 pro-immigrant and refugee groups in 31 states” to “mobilize” the Puerto Rican and Hispanic vote. While announcing his decision not to run for re-election, Gutierrez assured his supporters that Garcia was a suitable replacement. “I want to make absolutely clear that I’d be a candidate in the congressional district if Jesus Garcia had not volunteered to run,” Gutierrez declared in November 2017. Like Gutierrez, one of Garcia’s main pet policy issues is illegal immigration. Garcia supports a blanket amnesty for recipients of former President Barack Obama’s Deferred Action for Childhood Arrivals (DACA) recipients, which will presumably eventually extend to their parents. Garcia has been a supporter of so-called “comprehensive immigration reform,” and a vocal critic of Immigration and Customs Enforcement (ICE). Garcia has already joined the communist/socialist-aligned Congressional Progressive Caucus. There he will work alongside old Chicago comrades such as Rep. Jan Schakowsky and Rep. Danny Davis. For years, all three have moved in the same communist and socialist circles. Born in a small village in Durango, Mexico, Garcia’s father was an illegal alien who brought 10-year-old Chuy to Chicago when he was able to secure permanent residency, according to a profile in the Chicago Reader. Garcia earned a bachelor’s degree in Political Science from the University of Illinois at Chicago, then a master’s degree in Urban Planning. Garcia was radicalized in college, falling under the influence of Lola Navarro, a veteran Latino activist and disciple of the infamous father of “community organizing,” Saul Alinsky. Following Navarro’s example, Garcia and his comrades targeted a local theater, forcing its owner to refurbish the rundown facility. In his sophomore year, Garcia and fellow comrades “occupied” the chancellor’s office at University Hall. The university caved to the radicals’ demands and created a left-leaning “Latin American Cultural Center,” which still operates today. About that time, Garcia befriended a man who would have a profound influence on his politics and his career: the late Chicago activist Rudy Lozano. A few years older than Garcia, Lozano was organizing factory workers in Pilsen and Little Village. He was also advocating for unconditional “amnesty” for illegal aliens, a cause dear to Garcia’s heart. Lozano was associated with the Communist Party USA and drew Garcia into those circles. Beyond his labor union work, Lozano was heavily involved in local politics. Lozano and Garcia both became close allies of far-left South Side Congressman Harold Washington, who would serve as Chicago’s first black mayor from 1983 until his sudden death in 1987. In 1983, as part of a multi-racial team with Washington, Lozano ran for 22nd ward alderman. Garcia managed his campaign, but Lozano came second in a five-man field. A few weeks later, in June 1983, Lozano was fatally shot in the kitchen of his home. A teen gang member was arrested and later convicted of the murder, the Chicago Reader reported. The Soviet newspaper Pravda, which ran several articles on Lozano, claimed the “hit” was a political assassination. The police maintained it was a gang-related murder. His friend’s death motivated Garcia to get more directly involved in politics. In 1984, Garcia successfully ran for 22nd Democratic ward committeeman. In 1986, he ran for alderman against conservative Democrat Guadalupe Martinez. Garcia’s campaign manager in 1984, black Communist Party USA member Ronelle Mustin, claimed that Garcia made sure the ward’s few black residents “got our fair share of everything—streets repaired, sidewalks done, garbage picked up.” Garcia was reelected in 1987, and again in 1991. After Mayor Washington died, the multi-racial communist–socialist coalition he had brought into office disintegrated as the Democratic machine forged under former Mayor Richard Daley re-conquered the city government. Garcia left the City Council and was elected to the Illinois state Senate in 1992. He served two terms until his defeat in 1998. Garcia went on to found and lead Enlace Chicago, a leftist nonprofit “community development” organization in Little Village. In 10 years, Garcia built Enlace into an organization with a $2.9 million budget and a staff of more than a hundred—many of them leftist activists. Rudy Lozano, Jr., a Communist Party USA supporter and son of Garcia’s old comrade, serves on the Enlace board. Communist Party USA member Docia Buffington serves on the Enlace leadership team. Upon leaving Enlace in 2009, Garcia served as a fellow at De Paul University and as adjunct professor at the University of Illinois at Chicago in the Political Science and Latino and Latin American Studies Departments. He also served on the boards of several leftist non-profits, including the Latino Policy Forum and the Woods Fund of Chicago. 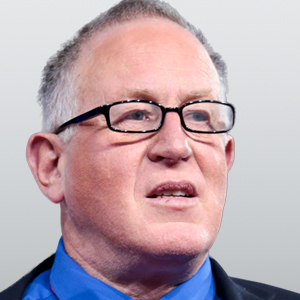 Throughout his political career, Garcia maintained close connections to the Maoist, pro-Soviet Communist Party USA and “democratic socialist” strands of the Chicago left. Additional examples of Garcia’s radical bona fides include his contribution to Unity, the journal of the pro-China League of Revolutionary Struggle, on April 30, 1990, and his attendance at various Communist Party USA functions. A year later, Garcia gave a tribute to Illinois Communist Party USA leader Ishmael Flory, who was honored at Malcolm X College in Chicago on Sept. 29, 1991, by more than 100 guests. According to the Oct. 12, 1991, issue of the Communist Party USA newspaper People’s Weekly World: “‘Ishmael Flory is a man for all seasons. … He never gives up,’ said State Senator Alice Palmer. Other speakers included Communist Party USA members Jack Spiegel of the Amalgamated Clothing Workers Union, the aforementioned Ronelle Mustin, “peace” activist Sarah Staggs, and Carl Bloice, the former Moscow correspondent for the People’s Weekly World, the predecessor of People’s World. Shortly after that event, the Communist Party USA split, and many Chicago members joined the breakaway Committees of Correspondence (CoC). The Chicago branch of the CoC held a tribute banquet to 88-year-old member Jack Spiegel on Oct. 3, 1993, with 250 people in attendance. According to an October–December 1993 CoC newsletter, special guests included then-state Sen. Garcia, Alderman Helen Shiller, Bernice Bild from the hard-left Coalition for New Priorities, Camille Odeh from the Coalition of Palestinian Women, and Meca Sorrentini from the pro-Cuban Puerto Rican Socialist Party, which—as mentioned above—once boasted former congressman Luis Gutierrez as a member. The keynote speaker was CoC co-chair Manning Marable, who served as director at the Institute for Research in African-American Studies at Columbia University. Illinois CoC co-chairs Sandy Patrinos and Mildred Williamson (both veterans of the Communist Party USA) presented the awards. In 1998, Garcia and Bild addressed a joint Chicago DSA and Illinois CoC forum on the 1998 elections. “Senator Garcia gave a technical, electoral perspective on the outcome. Bernice Bild provided a look at the outcome from more of a policy perspective,” according to DSA publication New Ground. In the mid-1990s, Garcia was a close supporter of pro-Soviet Illinois state Sen. Alice Palmer. The “Hon. Jesus Garcia” served as a member of the “Friends of Alice Palmer,” alongside future congressman and DSA member Danny Davis, Timuel Black of the DSA and CoC, and future President Barack Obama. A few years later, Garcia was firmly back in the Communist Party USA orbit. The People’s Weekly World banquet held on Oct. 28, 2000, at the House of Fortune restaurant featured Congressman Davis as guest speaker. Local honorees included octogenarian Communist Party USA member Bea Lumpkin and “Jesus ‘Chuy’ Garcia, former member of the Illinois State Legislature and presently director of the Little Village Community Development Center,” according to the Oct. 7, 2000, issue of People’s Weekly World. A special award went to Communist Party USA member Evelina Alarcon, coordinator to the Cesar E. Chavez Holiday Campaign. Long-time Communist Party USA/CoC front group Chicago Committee to Defend the Bill of Rights organized a “Celebration of the Dynamic Life of Frank Wilkinson (1914–2006)” on Sunday, Oct. 29, 2006. Wilkinson had been a leader of the Communist Party USA, the New American Movement, and the DSA. Garcia was named as an “Honoring Committee” member. On Nov. 3, 2009, Garcia announced his candidacy as a Cook County Commissioner for the 7th District to “usher in a new era of reform, accountability, transparency, and efficiency in government for the benefit of working people,” according to his campaign page. His running mate, Communist Party USA supporter Lozano, Jr., ran for state representative in the 23rd District. Garcia won his race; Lozano narrowly lost his. “Mexican Americans are strong supporters of the Obama administration’s efforts to move away from the right wing policies of the past and to move for progressive reform as evidenced by the 76% approval rating of California Latinos for Obama, in the January 2010 poll by the California Public Policy Institute. In 2015, Garcia ran for mayor of Chicago against former Obama chief-of-staff Rahm Emanuel. It was a last-minute insurgency campaign, and like his friend Mayor Washington 30 years earlier, Garcia was backed by the far-left. Bernie Sanders came to town to rally with Garcia. Mega-wealthy, far-left San Francisco lawyer Steve Phillips endorsed and funded Garcia through his PowerPAC+. The Lozano family got on board. Lozano, Jr. joined the campaign, as did his Communist Party USA member brother Pepe Lozano. Communist Party USA National Committee member and Steelworkers Active Organized Retirees leader Scott Marshall also played a prominent role. It was a valiant effort, but Garcia entered the race too late. He forced Emanuel into a run-off election but couldn’t pull off the final victory. Many thought the loss would be the end of Garcia’s political career. Then Garcia’s old friend Gutierrez announced he was leaving Congress. Garcia jumped into the race. He easily won the primary and smashed his Republican opponent 86.5 percent to 13.5 percent in the general election. However, the prospect of soon entering Congress was not enough to steer Garcia away from his Communist Party USA comrades. On Aug. 3, 2018, more than 300 people gathered at the Chicago Teachers Union Center to celebrate the 100th birthday of Chicago’s longest-serving communist Bea Lumpkin. If Garcia is not a secret Communist Party USA member, he is certainly a close party sympathizer. There is no doubt that Garcia will loyally follow the Communist Party USA agenda throughout his time in Congress. This begs the question: How could Garcia pledge an oath to uphold the U.S. Constitution?